A bail bond enables an individual accused of a crime to leave jail prior to their court date. Of course, this courtesy doesn’t come without some potent restrictions. First and foremost, the person out on bail must report to the court when told. If someone decides to jump bail and miss their court date, they can expect certain consequences. If the court date arrives and passes without the defendant’s appearance, an arrest warrant will get issued. When the authorities catch the defendant, he or she can expect a return to jail. This time, however, the likelihood of bail is very small. To post bail with a bondsman requires the payment of 10 percent the total bail amount. If you jump bail, you not only lose this percentage, but become liable for the entire amount of bail. If you have a co-signer on your bond, that person also becomes responsible for the full amount. In many states, jumping bail is itself a crime. The punishments for this crime, which will vary from state-to-state, can get addressed as a separate sentence or fine. Aside from this new charge, a defendant can expect additional fines and/or prison time for the original charge. Posted in Uncategorized on September 22, 2018 at 6:20 am by Atlantic Bail Bonding. Bail bonds are extremely helpful when you or a loved one needs to be released from jail. They are so essential, that there are different types of bail bonds out there. But what are they and how do each of these work? Below are the different types of bail bonds that are used. You actually don’t have to go through a bail bondsman for this type of bond. When you are placed under arrest, the office will most likely not take you to jail and release you. However, a citation will be written that will state when you need to appear in court. Again, this is a type of bond that is left up to the arresting officer. The citation release is usually given to individuals who have committed minor violations like running a red light or speeding. This is another type of bail bond that makes the bail bond system a whole lot easier. 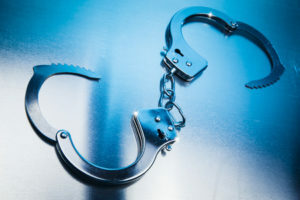 When you are taken into custody, the arresting officer will make you sign a signature bond (a signed pledge) stating their court date and that they will appear in court. To ensure you show up, the judge will order an amount to be paid if you are a no-show in court. One of the most common different types of bail bonds out there is the cash bail. What this means is that the bail is paid in cash. 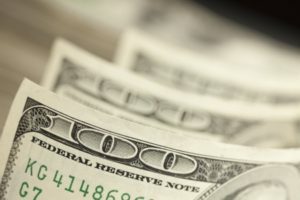 Some bail bondsman will only accept cash, no credit or check, and then there are bail bonds that need to be paid in cash because of the severity of the crime. Probably the most common bail bond is a surety bond. There are times when you or your loved one doesn’t have the money to bail you out. 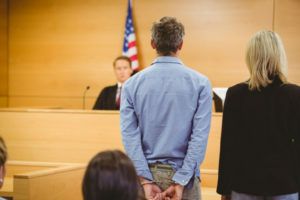 When this happens, a bail bondsman can offer a surety bond, where the defendant puts down 10% of the bond, swearing you will be at your court date. Posted in Uncategorized on September 22, 2018 at 7:47 am by Atlantic Bail Bonding. Probation represents an opportunity. Rather than stay in jail, those who receive probation for a crime conviction can keep their jobs and enjoy life with family. Of course, probation success comes with certain requirements. If you fail to maintain these requirements, you can expect a return to jail. To make the most of your opportunity while on probation, adhere closely to these tips. Perhaps the number one requirement of probation success is to keep your various appointments and deadlines. While on probation, you will have an assigned officer to monitor your progress. Generally speaking, you will need to meet with this officer once a month. This represents your most important regular commitment, as it allows your officer to keep tabs on your life and progress. You will additionally have other deadlines, such as when you must have your fees paid, or when you must have completed community service. Keep all of these faithfully, and you will become a success at probation. This should go without saying, but many probationers fail to realize what this completely entails. For certain convictions, behavior that otherwise may remain lawful, such as the consumption of alcohol or operation of a motor vehicle, become illegal. An important part of probation remains the adherence to all terms as outlined through the judge’s order. If you have the requirement to avoid alcohol, you can expect regular urinalysis to determine your adherence. Probation always comes with the requirement to pay regular fees and court-ordered fines. Your probation officer will also monitor whether you maintain regular employment. If you fail to maintain either of these responsibilities, you can expect eventual revocation of your probation, and a return to jail. Posted in Uncategorized on September 22, 2018 at 7:49 am by Atlantic Bail Bonding. 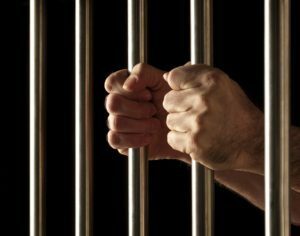 If you have a family member or friend that you posted bail for, it is important to know what happens if they end up skipping bail. While it’s something we don’t like to imagine, it’s important to keep yourself informed and educated just in case. What it means to forfeit the bond is that the amount of the bail bond is not refunded and the person who paid the bail has to pay the amount in full. While this might not seem fair, it is a consequence to not showing up to an assigned court date. Just because a defendant doesn’t show up for their assigned court doesn’t mean they are off the hook. When a friend or family member skips bail, they will still be charged for the original crime. In addition to the original charge, the defendant will also be charged with jumping bail. In Florida, if a defendant skips bail on any misdemeanor charge, the court can charge the defendant with another first-degree misdemeanor. If a defendant skips bail on a felony charge in Florida, they will be charged with a third-degree felony. 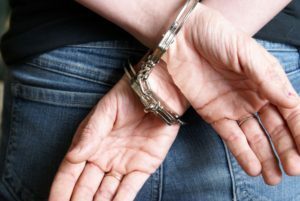 It is illegal for anyone in the state of Florida to call themselves a bounty hunter, but a limited surety agent or professional bail bondsman are able to find a defendant if they skipped bail. Posted in Uncategorized on September 22, 2018 at 7:44 am by Atlantic Bail Bonding. If you posted bail for a crime, you will remain free until your trial and sentencing. In most cases, you will have a general idea whether or not to expect some jail time. Judges also will occasionally sentence jail time at a future date, which gives you more time to prepare. If you have an opportunity to prepare for jail beforehand, you can save yourself some major problems upon release. You will first of all need to know the length of your sentence. Worst case, your lawyer should be able to provide some general idea. Jail means a county lock-up that typically only holds prisoners for a year or less. If you have more than a year of time, you will report to prison. Prison gets managed by state or federal authorities. In either case, you can familiarize yourself beforehand with inmate services, such as the mail system and commissary. Talk to your employer. You’ll need to figure out whether you can keep your job while incarcerated. Even if you can’t, your employer should still know your reason for departure. Get a grip on your finances. Call your credit card companies and let them know your situation. You should also cancel your cellphone plan for the time being. If you drive a leased or financed vehicle, get rid of it before your sentence. 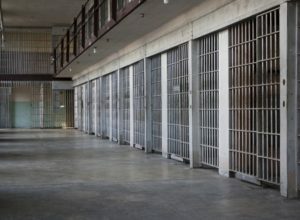 If you ignore these issues prior to your incarceration, you can face bankruptcy upon your release. Add money to your commissary. The commissary acts like a general store for prisoners. You can purchase extra food, clothing, or necessities like paper and self-care products. You’ll want to make sure you have plenty of money while inside, so borrow from family and friends if necessary. These practical matters aside, you’ll also need to cultivate a certain attitude to do well while incarcerated. Lose your attitude, as it will only get you in trouble. Also, try and cultivate individual friendships, while staying away from group associations. If you can manage all of this and prepare for jail, you’ll make your stay that much easier. Posted in Uncategorized on September 22, 2018 at 7:46 am by Atlantic Bail Bonding. Should You Post DUI Bail? When someone is arrested for a DUI, they are facing severe penalties and consequences if found guilty – jail time, loss of license and the potential to also lose employment. DUI bail becomes essential when the arrested since Florida has a “no-tolerance” policy when it comes to being pulled over on the suspicion of being under the influence. After being processed, paying for bail with the help of Atlantic Bail Bonds is critical. If you are paying a DUI bail for someone else, you automatically enter into a “three-party” agreement, in the event that the accused does not show up for their court date, you and the hired bondsman are responsible for the amount owed and making sure that person appears. Posted in Uncategorized on September 22, 2018 at 8:02 am by Atlantic Bail Bonding. The moment your friend or loved one can be a moment of pure panic. What should you do? Should you call someone? While an arrest is certainly a scary moment for you and your friend/family member, you should do your best to remain calm and obey the following advice. By All Means, Stay Calm. Your first instinct when your friend or loved one is under arrest may be to become panicked. While this is a natural reaction, you should take a moment and calm down. If you are with your friend or loved one when they are placed under arrest, contain your frustration or anger. Being angry or confrontational with the arresting officer will not help at all. It could potentially mean arrest for you, and less help for your friend/loved one. Once you’ve calmed down you need to gather some important information. If you plan on bailing your loved one out of jail then you need some essential information. You’ll need your friend or loved one’s full name, arrest date, arrest location and the time of the arrest as well. If you have trouble finding this information you should contact a local bail bondsman who can assist you. Calling a bail bondsman can make a huge difference for your friend or loved one. Jail is not a place that anyone wants to spend their time. Unless your loved one is being held for a capital offense, they are most likely eligible for bail. Bail isn’t cheap however, and the price of bail can vary widely depending on the crime your friend or family member is accused of committing. This is where an experienced bail bondsman can come in. A bail bondsman will pay a large percentage of the cash bail, and your loved one will agree to pay the rest as well as be contracted to obey a legal agreement. Posted in Uncategorized on October 29, 2018 at 5:47 am by Atlantic Bail Bonding. There are some circumstances in which bail can be denied. It is up to a judge to determine whether a person who has been arrested and charged, should be released on bail. These are some factors that a judge will take into consideration. Was the person charged for a violent crime? If someone has been arrested due to committing a violent crime, it is more likely that a judge will withhold bail if they deem the person too dangerous to the community. What does their criminal record look like? Judges will also look at past criminal history. Someone with a lengthy arrest record, especially one that includes violent crimes or felonies, is less likely to be allowed out on bail. Will they stay in town if they are released? If the judge deems the arrestee to be a flight risk then bail is more likely to be denied. Being released on bail is an assurance that the person will come in for their assigned court date. 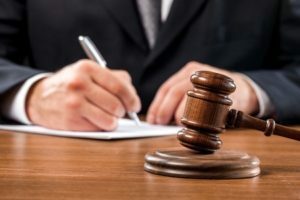 If a judge determines that the person may flee after early release, they will deny bail in order to ensure that the person will be at their appointed court date. A judge will only set bail for an arrestee if they have sufficient evidence that the person in question will not skip their court appearance and is not considered a danger to the community. A bail bond is used to release someone from jail; a bail bond is a document stating that the defendant or surety (someone who take’s responsibility if the defendant cannot) pays a set amount to the court if the defendant fails to appear at their scheduled court date. A bail amount is set by the county court where the defendant is jailed at. A lot of defendants don’t have the means to pay their own bail, so they turn to family, friends, or a bail bond agency to post bail. Whoever posted bail will be obligated to pay the bond amount, if the defendant does not make their court date. There are a few factors when setting the cost of the bond. It can depend on the defendant; if the person is likely to run or is a danger to their community, the bail might be higher. The type of crime also determines the amount. Misdemeanors and nonviolent crimes are a lower cost, whereas felony charges can be anywhere between $1,000-$50,000.